Este es un artículo de Jeff Pearlman especial para la sección Page 2 de ESPN.com. Es una parodia sobre la rueda de prensa de los Mets presentando a Rickey Henderson como su nuevo Coach de Bateo. The press conference begins with an announcement from Jay Horwitz, the Mets' media relations chief. 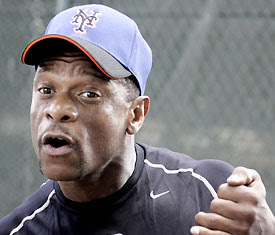 "The New York Metropolitans are excited to announce that we have hired Rickey Henderson as our new hitting coach. As many of you know, Rickey played 25 seasons in the big leagues, and is the all-time stolen base king, as well as ..."
RICKEY: Rickey wants to talk. HORWITZ: My name is Jay. RICKEY: Yeah. Rickey wants to talk. HORWITZ: Without further ado, our new hitting coach, Rickey Henderson. HORWITZ: Uhm, Rickey? We're the Mets. HORWITZ: George Steinbrenner owns the Yankees. RICKEY: Who's paying Rickey to be here? RICKEY: Rickey doesn't know Fred Wilpon. RICKEY: When Rickey Henderson was asked to manage the Mets, he thought to himself, "Rickey, you're handsome, you're intelligent, you're a great dancer, you ..."
WILPON: Uh, Rickey. You're not our manager. RICKEY (turning toward Randolph): Rickey thought you were Wayne Tolleson. RANDOLPH: Noooo-I'm Willie Randolph. The manager. RICKEY: Rickey says you look like Wayne Tolleson. RICKEY (turning toward Horwitz): Rickey wants a raise. RICKEY: Rickey wants a raise. WILPON: You just got here. RICKEY: Rickey wants a raise. Rickey needs to be highest paid, or Rickey's not playing. WILPON: Rickey, you're our hitting coach. RICKEY: Does Rickey know you? WILPON: I own the Mets. We just spoke ... twice. RICKEY (turning to Reyes): Does Rickey know you? RICKEY: This spring Rickey instructed someone who looked just like you. RICKEY: No. Rickey remembers. Guy spoke Spanish to Rickey. REYES: Si, hablo Español. Me llamo Jose Reyes. Somos amigos. RICKEY: Rickey doesn't understand what you're saying to Rickey. RICKEY: Rickey never used steroids. Rickey is all natural. RICKEY: Rickey is all natural. JOEL SHERMAN, NEW YORK POST: Rickey, are there any hitters you're especially excited to work with? RICKEY: Rickey needs a few minutes of BP, but Rickey can still hit, Rickey can still run, Rickey can still change the game. Rickey will steal 300 bases this year if Rickey is given the green light. 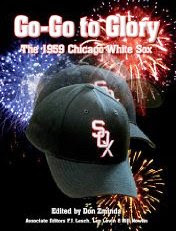 (Turning toward Randolph) Wayne, give Rickey the green light. RICKEY: Lou Brock was the symbol of great base stealing. But today, Rickey's the greatest of all time. WILPON: Rickey, what are you talking about? RICKEY: Rickey just being Rickey. RICKEY: Rickey's hammies are sore. RICKEY: Rickey's hammies are sore. Rickey needs a massage.